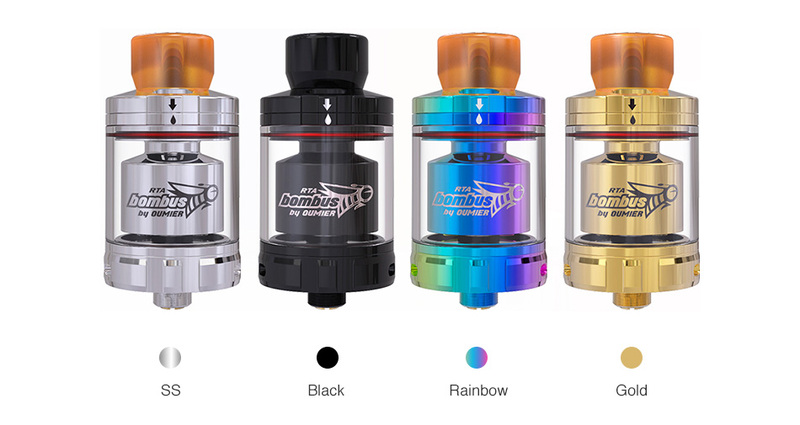 The OUMIER Bombus RTA is a newly designed 24.5mm rebuildable tank atomizer by OUMIER. 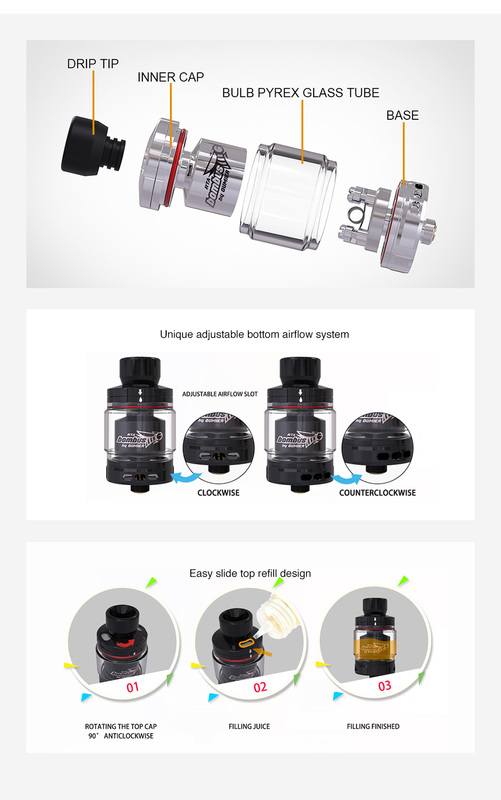 And the Bombus RTA mainly features easy single coil build deck and adjustable bottom airflow design, which can bring optimal vaping flavor to you. And the 3.5ml optional e-liquid capacity offers an easy way to enjoy your puff. You just need to rotate the top cap, and then inject the e-liquid through the slot. 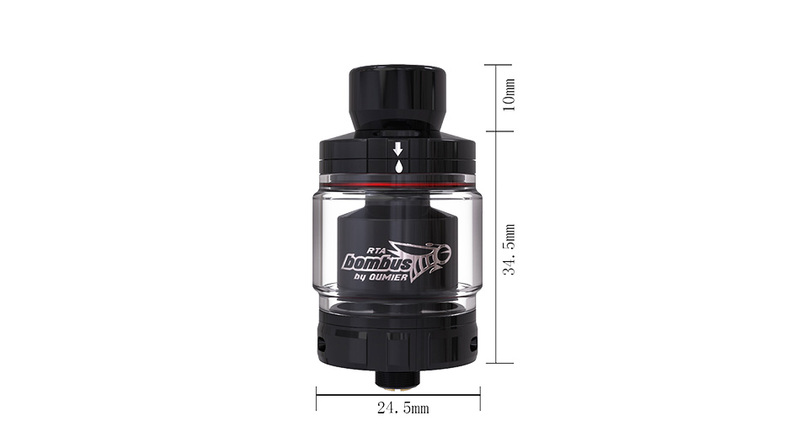 So the OUMIER Bombus RTA is really an ideal rebuildable atomizer for DIY vaping fun.